How often do you stand in front of your closet and think, “I have nothing to wear!” Chances are that’s a total lie and we’re just not feeling creative that day! That’s why when I read about Sarah’s Real Life Take One, Pass It On Challenge I so wanted in on the fun! The idea of the challenge is to take one item from the previous day’s look and pass it on to the next look. 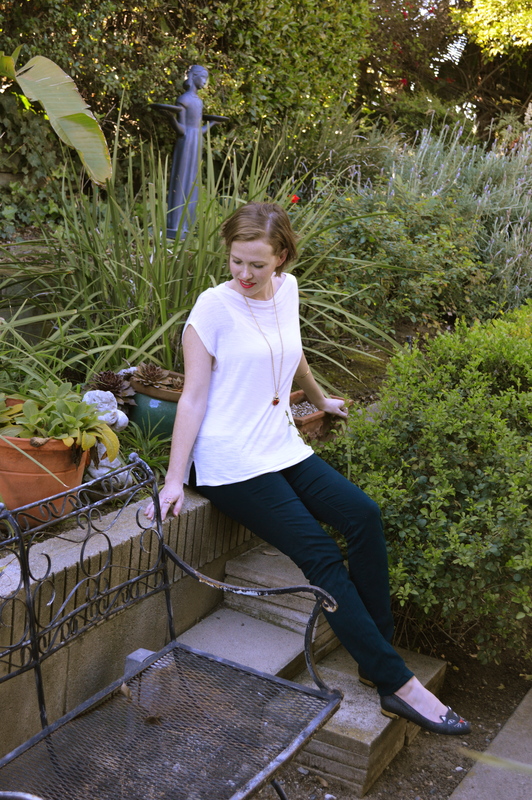 For example, today’s outfit is a comfortable flowy top and twill turquoise pants. I’ll be passing on the top tomorrow for a completely different look! Then I’ll pick one piece from tomorrow’s look and pass it on to the third day’s outfit! Get it?! P.S.- You can’t repeat an item more then once. So I can’t wear the same shoes for 30 days and call myself a winner… that’s just plain cheating! 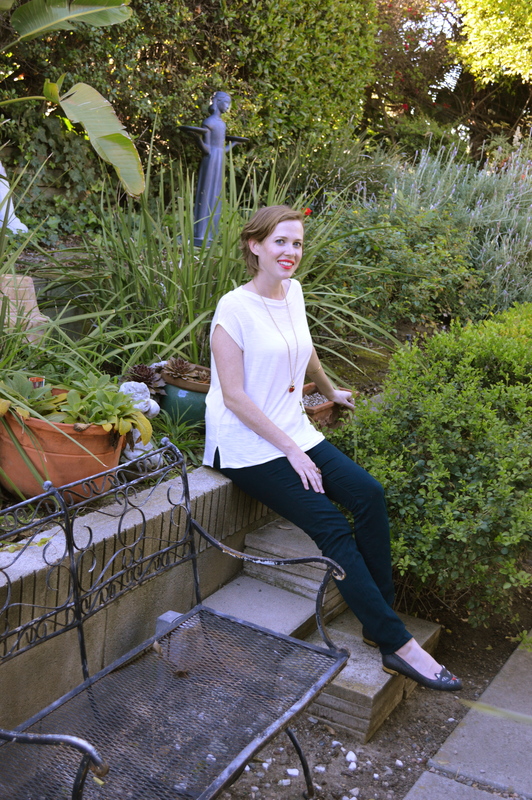 It’s so easy to get stuck in a routine of wearing certain tops with certain bottoms. Most of our stuff is so much more versatile then we give them credit for! I’m going to try this challenge for a full 30 days! I know, it sounds totally nuts but it’s time for a closet overhaul without buying a ton of new stuff I don’t really need! Thanks for the great idea, Sarah! Today’s look was casual, causal, and more casual… with sparkles! I mean, isn’t every day better when you’re wearing sparkly shoes?! 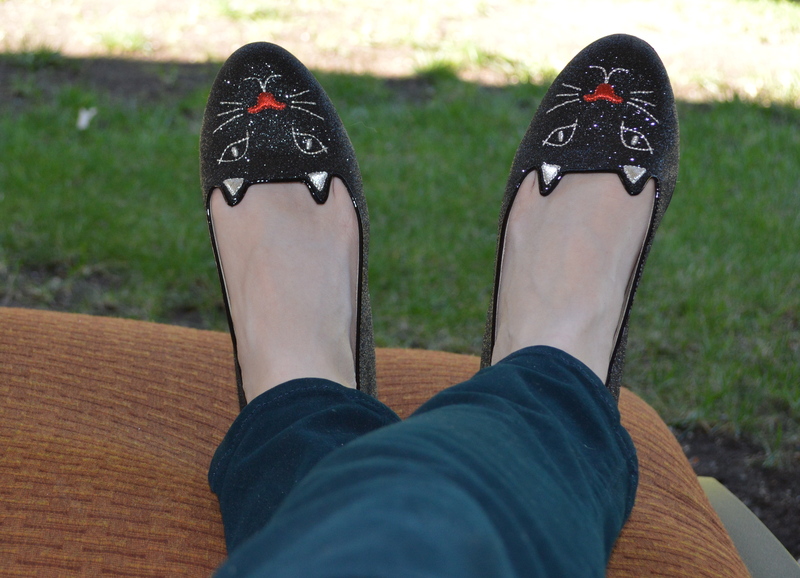 These kitty flats are just the pick-me-up I need on a blah morning. 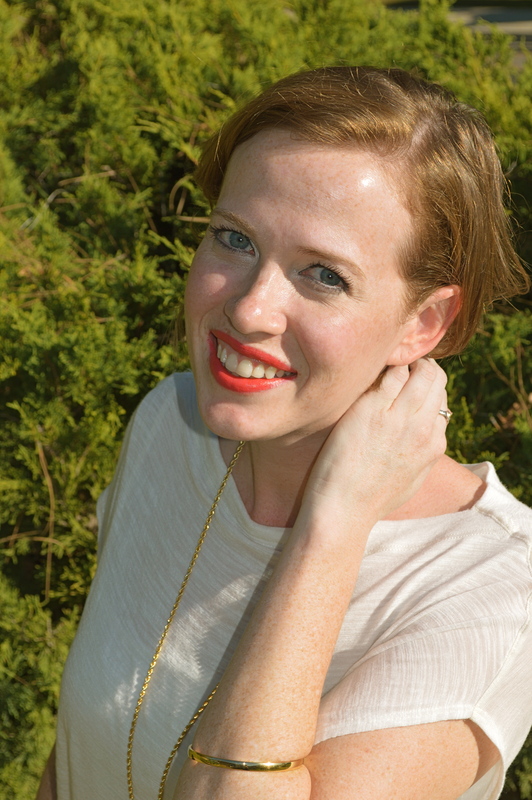 It’s also fun to add an unexpected lip color during the day too. Here I’m wearing Maybelline Lipstick in Vibrant Mandarin. Awww thanks Fashion for Lunch!